So you’re starting to look into the wonderful world of cold brew coffee but it can be confusing for a newcomer. This guide is filled with tips so you know exactly what to expect. Cold brew coffee is a popular method that is quietly starting a revolution to overthrow the dominant hot variants of brews. Cold brew coffee is not just coffee that is poured over ice, but an entirely different drink. Why Is Cold Brew Good For You (Relatively)? Cold brew coffee, as well as tasting great, has some added health benefits. But how can cold brew coffee be more beneficial for you than regular hot coffee or even espresso? Well for starters the coffee itself is much less acidic meaning your acid re-flux will be far less with cold brew coffee. This means the taste of the coffee is sweeter and the bitterness is often not carried through to the final product. This acidity can cause massive discomfort when drunk as the ph. levels within the human body are disrupted. As you can also drink cold brew coffee hot, you will still be able to enjoy your coffee hot without any of the negative reactions you can get from your average cup of Joe. All types of coffee do have their benefits when the user is drinking in moderation. With cold brew coffee, the natural goodness is kept in as there is no heat involved. Whereas with hot coffee, there might be some loss of nutrients when made into a piping hot beverage. There is less caffeine in cold brew coffee, which means lesser changes of negative effect associated with caffeine overdose. Overall, there are definitely some health benefits to drinking cold brew coffee. Of course, this is when it is not being drunk to excess. How Cold Brew Coffee Is Made? Cold brew concentrate is made differently to your average cup of coffee, and there is only one way to do it. However, there are different recipes to mix the concentrate to form different types of cold brew coffee and you can pick and choose what you would like depending on your coffee preference. If you want to make your own cold brew coffee then there are certain steps you have to take. First, let’s start with what equipment you need to make this refreshing drink. It is very easy to make it at home yourself and using these ingredients and tools. With patience, you will be enjoying fresh tasting cold brew coffee whenever you wish. Want To Share this Image On Your Site? Just Copy The Code Below! Firstly grind your beans, using the coarsest setting on your grinder, to get the perfect grind. If you grind them too fine, your coffee will not have the same great taste that you are looking for. When this is done, get your container ready. Put the coffee grounds into the jar or container with 1 part coffee, and put 8 parts water on top of this. This ratio is preferred as it will leave the coffee not being too bitter, while keeping the beverage light and refreshing. When the water is in, stir well making sure it is thoroughly mixed, not leaving any residue at the bottom. Leaving the coffee to be mixed well with the water will avoid clumping at the bottom. Cover the jar and leave it in the fridge to steep for up to 24 hours, allowing the coffee grounds and water to mix together. After it has been left for your preferred time, get your sieve out and place it onto the bowl. Pour the mixture into the sieve and large lumps of coffee should be left, leaving the bowl filled with a more watery mixture. Throw this residue into the trash and wash the sieve, pouring the watery mixture back into the jar/container. After washing the sieve up, place the paper towels into it and place it over the bowl. Pour the cold brew coffee into the paper towel covered sieve, leaving more residue to be caught by the paper towels. Repeat this step two to three times until your cold brew coffee is ready. Pour it into a clean jar and keep it in the refrigerator. Your cold brew coffee is finished and can last anywhere up to a month if done properly, so you can keep enjoying it whenever you wish. Lazy to read? A more visual learner? Look at how Thomas Joseph does it in this video. Following these simple steps you will be well on your way to making your own refreshing summer drink. It couldn’t be easier and you can impress your friends and family with this refreshing way to drink coffee. When trying to make your own cold brew coffee at home, there are certain things you should avoid to get the best tasting brew possible. They are easily avoidable and practise makes perfect when trying something new so don’t worry. If you grind your coffee more fine than it should be then you could be in with a problem. The end product will taste extremely bitter and there will be little pieces of coffee floating about in the water which can be very off putting when trying to enjoy your beverage. Try and grind your grounds more coarse to avoid this. The last thing you want is to waste hours of your time to get something you don't like. Not using cold water to make your cold brew coffee really defeats the point of the beverage. You will essentially be making coffee and then putting it in the fridge. It leaves the coffee with a acidic bitter taste and will affect the drink itself as the grounds will be absorbed more into the water. If you do not keep your cold brew coffee in the fridge and can really interrupt the process. If you do not leave the coffee and water to sit for long enough, the taste will not be infused properly, so your time will be wasted.. again. Leave it for anywhere from about 16 hours to 24 hours to make sure the solution is as well mixed as properly. If you do not, the coffee will be too weak and will just end with a jar of weak coffee flavoured water that no one wants to drink. Don’t jump the gun and have your cold brew too early because it will not be worth it. Patience is definitely key, as you will enjoy the blend of cold water and coffee much more after leaving the flavours to strengthen and give you the perfect brew. Your time will be wasted if you do not wait for the appropriate amount of time as you will have to start again and be left with a mess that no one wants to drink. Yes, we did mentioned that cold brew can be stored for long. But really, the general consensus is that it can be stored for 2 weeks to a month. So really, try to stay within this. Also, the flavor might change after about a week so be aware. The brew might not taste nice. Chances are you will be left with a jar of liquid that that you spent hours making but cannot enjoy. So make small amounts at any one time. When making cold brew coffee you need to use freshly ground coffee grinds. The coffee grounds really change how the cold brew ends up. The freshness of the beans affects how good the coffee tastes. As if they are older beans, the cold brew will end up tasting stale and not light and fresh as you would want it. Stick to these tips and you will have the best tasting cold brew coffee that you can make. We are very encouraged by the curiosity of our readers. 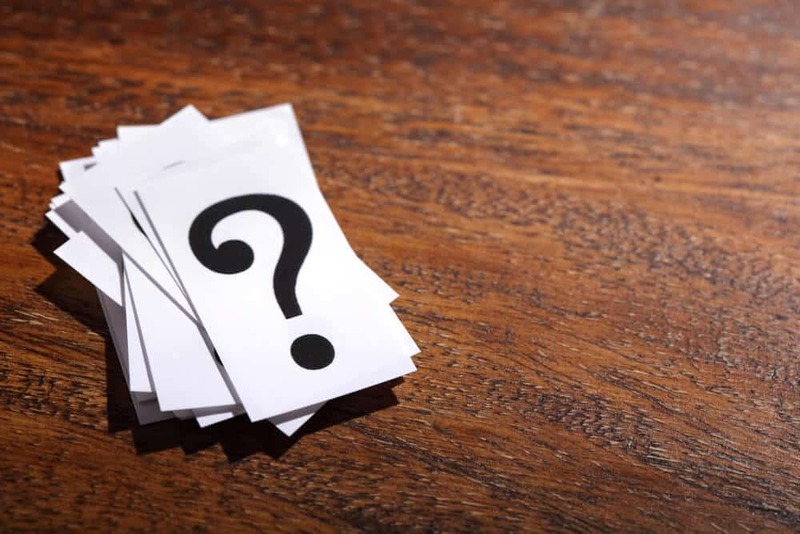 So, rather than answering one at a time, we figured to answer a bunch of common questions and put them in one place for your convenience. Is cold brew coffee stronger? The strength of the coffee depends on what you use to make the mixture. As the mixture is concentrated it does have significantly higher caffeine levels. Although most people put cold brew coffee with water or milk to take the edge off. Cold brew, espresso and normal coffee work out as having similar caffeine levels overall but cold brew has slightly less. Taste wise, in relation to something like an espresso, that is a pure shot of coffee, cold brew is not as strong. But against something milky, like a latte, the cold brew will seemingly have more strength. Can You Use Espresso To Make Cold Brew? In theory, you can use espresso to make cold brew, although this would be espresso beans not just an espresso shot. The beans would let off a strong aroma that would pair nicely with the refreshing cup of cold brew. Although some people might not like the strength that they are getting from the cold brew, it would add an extra layer to the cold beverage and would certainly not take anything away from it. You can also use the espresso cold brew for things like cocktails. Can You Warm Up Cold Brew Coffee? Technically yes. You can warm up cold brew but it does change what the drink is. It does not suddenly turn into regular coffee, but it tastes like cold brew coffee.. just warmer. It would be a particularly strong blend but you could mix it with hot water to tone the flavor down. This would be using the cold brew as though as it is some sort of syrup. Personally, I keep cold brew cold and if I need hot coffee, I brew a separate pot. Anyway, cold brew can be kept for several days if stored properly. Can You Use A French Press To Make It? You can use a French press to make cold brew coffee and it can be made in a similar way to what has been outline in this guide. You perform the same steps but you mix the coffee grounds and water in a french press instead. After letting it steep, you need to press the french press down like you would normally. This means that you would not need to sieve the solution as the press does all the work. If you have any coffee left in the water you can sieve this out for better results. What Is A Cold Brew Concentrate? A cold brew concentrate is the mixture that you have made using this guide. You can also buy it from coffee shops but it is much more expensive, which you can easily make it yourself. The concentrate is what you get before you dilute it with your choice of water or milk. It is used as the base for the cold brew coffee and what makes it what is. Might be easier if you think of it as a kind of concentrated syrup. You add water and milk to it to make the traditional blend of cold brew. In other words, cold brew concentrate + water + milk = Cold brew coffee. Well, these answers are based on our opinion and may not a definite answer. 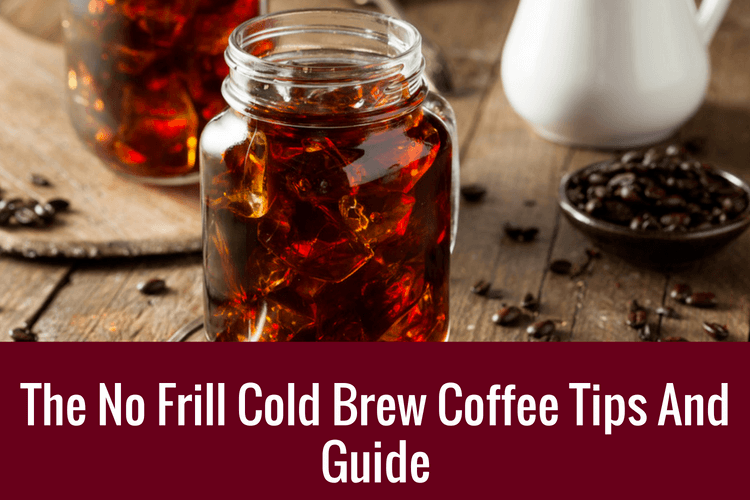 This guide has outlined many different things about cold brew coffee. There are many health benefits including having less caffeine and less acid within the drink. An outline of what to use to make the brew as well as a detailed recipe of how to actually make it so you can create this refreshing drink whenever you want. We have also discuss about different things to avoid. This is to make sure your brew is as good as can be is shown so you can enjoy this summer drink without wasting your own time by messing it up. Finally this guide has discussed different questions that you might be wondering about as beginners to cold brew coffee. It should have helped you to understand this exciting new beverage and what to expect with it. Happy cold brew drinking!